Has it really been 21 years since an outstanding Montreal Expos baseball team were robbed of what could have been their first and only World Series triumph? Yes, in 1994 they were indeed the best team in major league baseball and headed towards greatness. Boasting the best record through mid-August, everything came to a halt when the players went on strike and the season was ultimately wiped out. The Expos left town for good in 2004, moving to Washington. 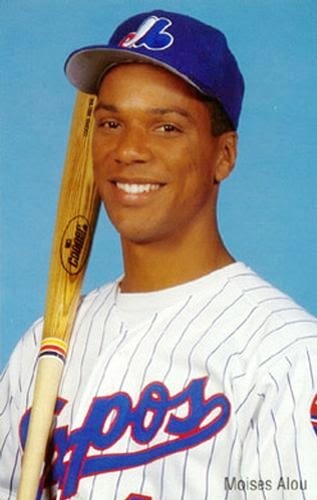 In recent years a movement was established by former Expo Warren Cromartie and broadcaster Matthew Ross to build momentum and bring the team back via their MontrealBaseball Project and ExposNation groups respectively. Four years ago I was part of the organizing committee of the Cummings Jewish Centrefor Seniors Foundation annual Sports Celebrity Breakfast which honoured the ’94 Expos. We had many of the greats on hand – Pedro Martinez, Marquis Grissom, John Wetteland, Felipe Alou, Cliff Floyd and Rondell White to name a few. Last year Cromartie brought them all back, in much bigger numbers, for a tribute dinner and a very memorable appearance at Olympic Stadium prior to a sold out exhibition game between the Toronto Blue Jays and The New York Mets. 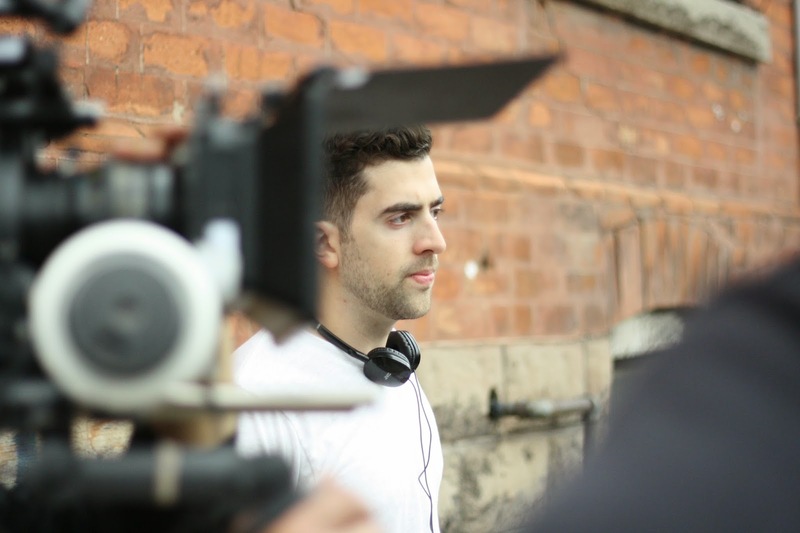 I had the good fortune of getting an advance preview of the film, courtesy of Menard and Chomedey native Rich Lenkov. The latter is now a successful Chicago attorney who is presently producing a much anticipated documentary on the 1985 NFL Bears and recently made a connection with Menard. To say I was glued to the screen is an understatement. This is a work of art that had me very emotional as the closing credits appeared. I was a working member of the media back then, covering many of the Expos game for an all-sports network in Toronto called The Fan. I even took a brief holiday to South Florida and covered an Expos game versus the Marlins in Miami on the eve of the strike call. I got to know many of the players. Yet watching Menard’s film brought forward a wide array of anecdotes I was never aware of. Menard had reached out to best-selling author Jonah Keri, a Montreal native noted for his exceptional; book Up, Up, and Away: The Kid, the Hawk, Rock, Vladi, Pedro, Le Grand Orange, Youppi!, the Crazy Business of Baseball, and the Ill-fated But Unforgettable Montreal Expos. 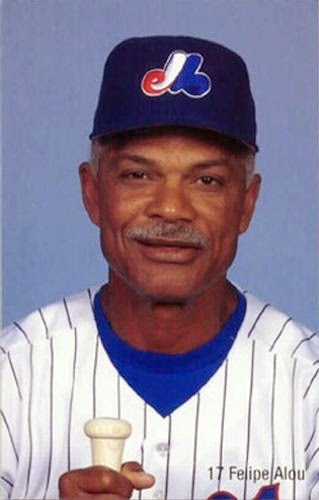 Keri’s first piece of advice was to ensure that Menard made his way to Montreal for the Blue Jays 2014 exhibition series where many of the ’94 Expos would be in town. He did so and the end result is a series of fabulous interviews with former skipper Felipe Alou, outfielders Moises Alou, Larry Walker and Marquis Grissom, first baseman Cliff Floyd, catcher Darrin Fletcher, pitchers John Wetteland and Ken Hill, broadcaster Dave Van Horne, talk show host Mitch Melnick, former beat writer Jeff Blair and former president Claude Brochu. He went and met with former GM Dan Duquette in Baltimore and also travelled for a one-on-one with Pedro Martinez. The documentary includes some terrific archived footage, dramatic background music and wonderful clips of the ’94 players on the bus towards Olympic Stadium and their emotional appearances on the field. 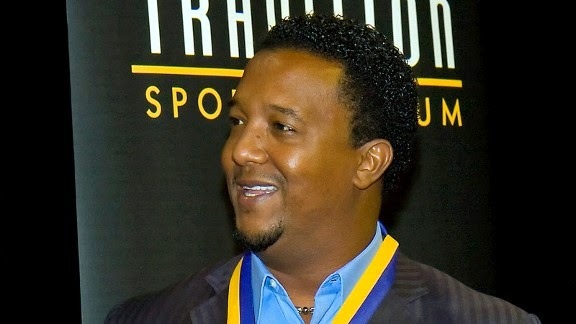 Martinez, who went on to win a Cy Young Award with the Boston Red Sox, left no doubt that it was Felipe Alou’s guidance that placed him on the road to stardom. Walker called himself, Alou and Grissom the best outfield in baseball. “It is too bad we did not play together for a decade,” he said. Menard’s current project is a documentary on anticipated number one NHL draft pick Connor McDavid. 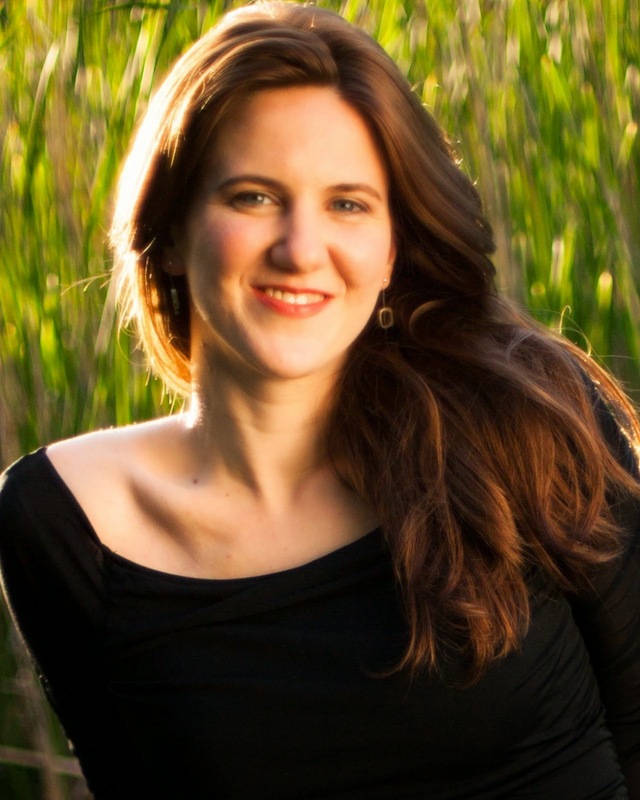 You can hear Menard’s interview with Melnick here. Cromartie and company will be back in town for their annual gala on Wednesday, April 1 at the Hyatt Regency Hotel featuring the likes of Rusty Staub, Tim Raines, Andre Dawson and Andres Galarraga as special guests. All of the details are here. 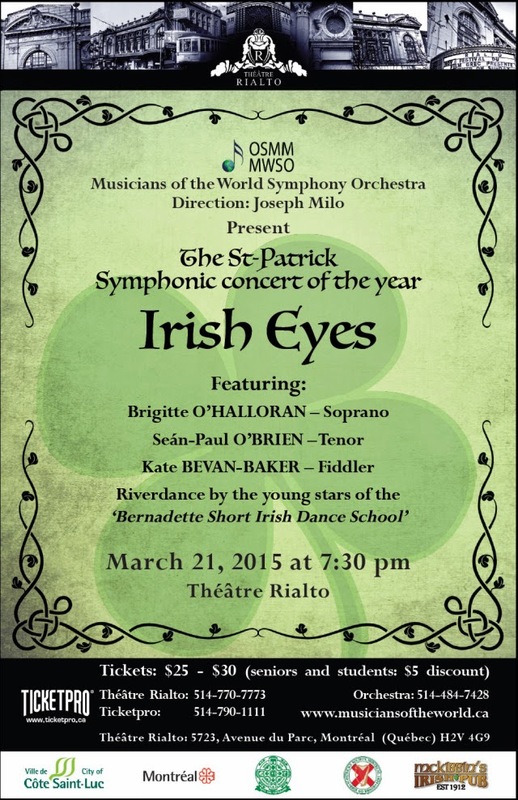 This coming Saturday evening, March 21, The Musicians of the World Symphony Orchestra, conducted by Joseph Milo, will join soprano Brigitte O’Halloran for the St. Patrick Symphonic Concert of The Year at the Rialto Theatre. Also on stage will be Kate-Bevan-Baker at the fiddle, Sean-Paul O'Brien with his warm tenor voice and the celebrated Celtic dancers from the Bernadette Short School of Irish Dance. The program will include ballads such as Toora loora looral (Irish Lullaby), Danny Boy, Galway Bay, the magnificent Enya piece Smointe, the duet You Raise Me Up, famous drinking songs, the original string arrangement of Sunday Bloody Sunday, Symphonic movements from Riverdance and Lord of the Dance, all accompanied by Milo’s orchestra. My first real exposure to professional soccer came in 1981 when the Montreal Manic arrived in this city, part of the then thriving North American Soccer League. I was very green 18 year old reporter for The Sunday Express Newspaper, part of the Quebecor empire, and given this beat as my very own. It was quite exciting. The names of many of the players - Tony Towers, Gordon Alec Hill, Thomas Usiyan, Andy Lynch, Carmine Marcantonio, Bob Rigby and others - still ring in my head to this day. Le Manic caught the attention of Montreal sports fans and on September 2, 1981 they attracted 58,542 fans to the Olympic Stadium in a playoff match versus the Chicago Sting. By the end of the 1983 season interest had dissipated and Molson Brewery, the club owners, pulled the plug. The Montreal Impact, of course, have had a long and successful journey in this city. In 2012 owner Joey Saputo moved them into Major League Soccer. While I still have an easier time remembering the names of Manic players, than those of the Impact, there is no doubt this is one fine oiled operation. Moffat, Needham, Joey Alfieri and Giancarlo Aimone in the booth. I was in attendance at the Big Owe Wednesday night to watch an exciting 2-0 victory by the Impact over Alajuelense of Costa Rica in the first leg of their CONCACAF Champions League semifinal. There were 33,675 fans on hand and the place was indeed rocking, especially for the first 13 minutes as they team notched both of its tallies. TSN 690 play by play announcer Rick Moffat had to once again test his vocal chords with those endless goal calls of his. "I listened to a lot of English soccer play by play men," Moffat told me before the game. "I guess I am following their leads and others who broadcast soccer. It is not the same as a goal in hockey." Moffat and his broadcast partner, former Impact star and Dollard des Ormeaux native Grant Needham, will be in Costa Rica for the second and final game of this series in just over two weeks. Hats off to these guys and TSN 690 for bringing us these games and for Simon Tsalikis and his excellent post-game show for really stirring up some excitement for this team. The Impact normally play next door at Saputo Stadium, an absolutely beautiful complex which is worth attending a game at even if you do not love soccer. They will return there when (and if ever) we get some warm weather in this city. CONCACAF has no doubt created a buzz in this city. While it is hard to keep track of who exactly is on the Impact roster, on a night when 33,000 plus are cheering the hometown on what we are looking at is more of an "event" than a "game." There is no question that the Impact need to step up their efforts in community relations. 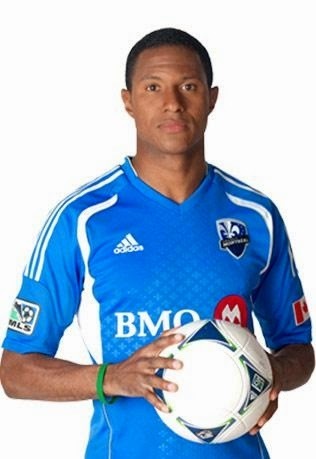 Team captain and Montreal-raised Patrice Bernier is a true fan favorite. He was benched against Alajuelense. That was the decision of head coach Frank Klopas, who was suspended for this game. His assistant Mauro Biello, probably with the blessing of Klopas, did indeed send Bernier into the game near the end; the crowd erupted with a standing ovation. I must say I had goosebumps. It was just one of those moments - and a message to Klopas, Biello and owner Saputo that there is something to be said about a hometown hero. His benching has been the talk of local talk shows, English and French, for a week. That is not the kind of distraction a team that wants to draw consistent crowds for the regular season needs. The Impact return to regular MLS play Saturday versus New England. But a win or tie in Costa Rica in April could move them towards international glory, something this city will definitely toast to.